If you’d like to sponsor one or more lovebirds, please choose your sponsorship frequency below then select the number of lovebirds. 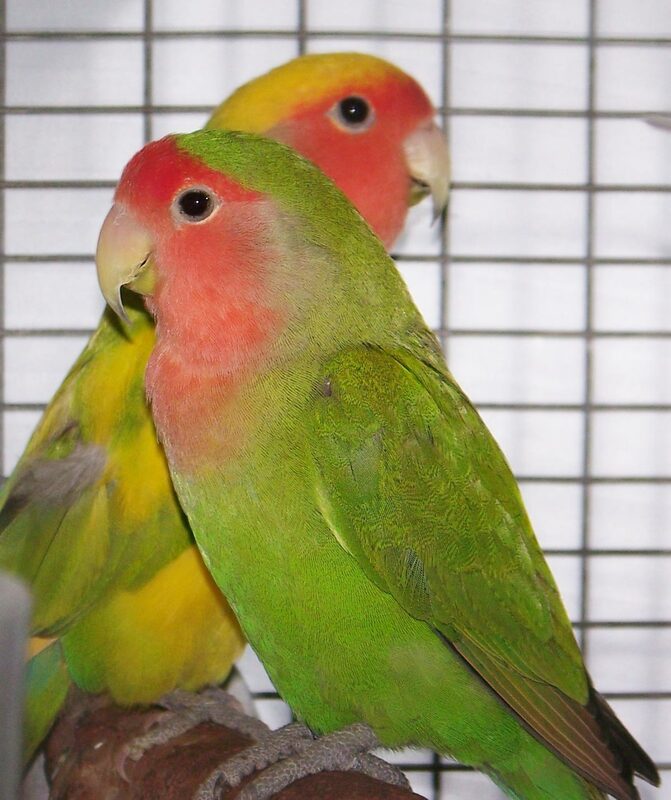 The Lovebirds we have available for sponsorship are Peach-faced Lovebirds. They reside in our free-flight Lovebird Aviary. While the Peach-faced species of Lovebird will fight with other Lovebird species like Masked and Fischer’s, they generally get along very well together. Our Lovebird flock numbers about 55. They are active and talkative. As with all our parrots, the Lovebirds are not given nesting material so we never have nests or hatchlings. But, pairs abound. The best time ever is when the Caregivers arrive with fresh-cut willow branches for the mini-flight. That means the beaks will be busy shredding leaves and skinning bark. Whew, what a job. With all that work, better go have a bite to eat! Oh, and might as well have a drink. Want to sponsor me? Lovebird sponsorships make great gifts. Sponsorship photos are representative of our many Lovebirds. Most look strikingly similar.